The franchised restaurant industry is huge, and an important sector within the even more enormous restaurant industry, with fast-food on top as the leader in unit count across the country. With so much competition in the franchise space, it can be difficult for a restaurant business of any size to find its way into media, in a way that is positive and not accidental. It is for this reason restaurant businesses of any size should consider creating a business relationship with an outside public relations (PR) agency. Public relations is defined as maintaining a positive public image, or creating a positive image between the public and a business or person. This includes promoting positive aspects of the business as well as managing crises to minimize damage. A restaurant or brand’s image affects every aspect of the business. And in the case of a franchisor seeking new franchisees, it can mean the difference between a prospect picking up the phone or filling out a form, or not. New franchised concepts with unit numbers in the single digits may consider PR agencies a waste of good resources for a business with such a small footprint, but the opposite may be true. A restaurant that has developed a new fusion cuisine menu or tapped into a trend such as sustainable food sources provides a path above the fray by its concept alone, whether it has five units in operation or fifty. A good PR firm finds a story in the ordinary, that a business owner may have overlooked. Perhaps those five units opened in record time, or one of them is run by an owner with an extraordinary background or someone who beat the odds to restaurant success. These types of stories aren’t only of interest to consumers, they speak directly to prospective franchisees and are worth leveraging. There is a misconception that most PR firms are giant corporate conglomerates with equally giant price tags on their services. While this may be true in some instances, not all public relations firms are alike. Think of PR services like an a la carte menu at a restaurant, where there are many options to choose from with price variations to match. Typical services a PR firm can offer are media relations, social media marketing, crisis management, talking points for guest appearances, award entries, thought leadership, speaking engagement planning, employee training and other customized options. But not all businesses have a need in all of these areas. Restaurants looking for social media posts and local media pitches may pay far less than those looking for broader employee training and crisis management services. And no matter whether a service package is large or small, good public relations, as part of a franchisor’s overall marketing mix, can go far in creating a comfort level for potential franchisees considering the brand. Some business owners are savvier than others when it comes to communicating within their local community or using social media. Just because a restaurant owner is a pro at posting about their garden on Facebook, doesn’t mean they are equally as skilled posting relevant business content where their target demographic is found. The casual Facebooker may not know images of food have their own hashtags on Instagram with thousands of followers. Or that there are stories to be found with the people behind the posts on social media. So it is in a franchisor’s best interest to arm their organization, including their franchisees, with good PR partners who understand the goals of the brand and who can utilize content and media relations to best reach their audiences. There are PR professionals to fit the needs of just about any restaurant business regardless of their longevity, their budget or skillset. Creating a PR plan doesn’t have to be intimidating. As part of an overall marketing strategy, public relations services can go far toward keeping a brand top of mind and recruiting prospective franchisees who seek an opportunity with a credible presence and comprehensive approach to marketing. 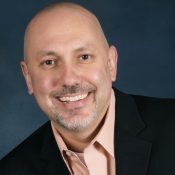 Matthew Jonas is President of TopFire Media, a fully-integrated public relations and digital marketing agency specializing in franchise development and lead generation. He has built a nearly 20-year career dedicated to delivering an integrated and strategically-based approach for emerging, established and mature brands.